I wrote about the 4 Divine States of Mind in a post yesterday. The first one is loving kindness so I thought it would be appropriate to share a loving kindness meditation with you. This loving kindness meditation is a 2,500 year old meditation which uses a repeated phrase which will cultivate feelings of loving kindness to yourself and others. Begin by repeating the phrase over and over for 15 minutes once or twice a day. Don't get defeated if this meditation seems heard, awkward, or brings up frustration. Be patient and kind to your self and continue with gentle persistence. Sit down comfortably. Take breath into the parts of your body that are in contact with the earth. Allot yourself to get connected as you plug back into your self. From this connection create length up the spine as you lift the pallet of the mouth and bring the top of the ears slightly back, chin parallel to the floor. Allow the shoulders to roll onto the back but don't lose the length in the side body as the hart opens and radiates outward. Let your body relax all unnecessary tension and holding, consciously allow yourself to be at rest, let the mind be quiet letting go of plans and preoccupations. Enjoy the silence and stillness in the mind and body. Begin this meditation with yourself because without the ability to cultivate loving kindness for yourself it is nearly impossible to do so for others. Continue to practice this meditation for days or weeks until the feeling of loving kindness radiates out from you. Just this is a wonderful practice for you to cultivate a loving relationship with your own sweet self. Then you can begin to introduce others into your loving kindness meditation. The practice is the same. You sit and become still. You repeat the same phrase about yourself for a few minutes and the you can choose someone in your life you love very easily. You picture them in the mind and repeat the phrase to them. 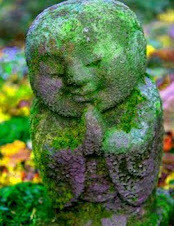 May _____ be filled with loving kindness....Again practice this for a few days having your meditation include people who it is easy for you to cultivate loving feelings for. Then you can continue to expand the people in your meditation including: friends, neighbors, people you pass on the street, everyone, animals, the whole earth, all beings...You can even practice this meditation with people who you find it very hard to get along with. This is a great meditation that can be developed to practice anywhere sitting, driving, walking, waiting in line at the grocery store, and in many other situations. This loving kindness meditation brings love and calmness into your life keeping you connected to your heart. After the first 10 hours.....I was in Thai Massage bliss. 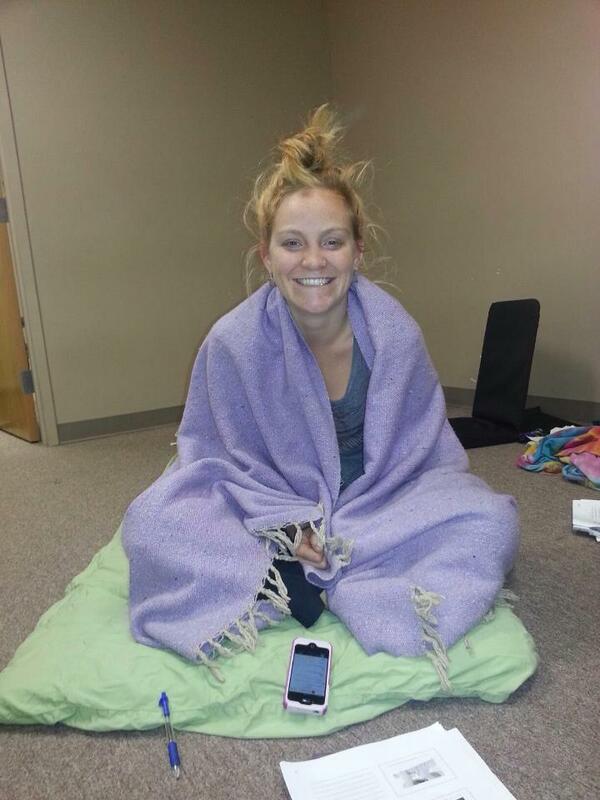 This weekend I was fortunate to take a 20 hour massage seminar at Myotherapy College. It was fantastic! This has been my favorite massage modality that I have learned yet. I think one reason I connect to it so much is that it comes from India and it is based off the Ayurvedic system which I have been studying through yoga for the past 8 years. Thai massage is considered a sacred work and really integrates mind body and spirit. One important aspect is the 4 divine states of mind that is the goal of life, spirituality and this form of body work. These are emotional states to be strived for. Practicing and developing these divine emotions, will cultivate a peaceful and patient daily life practice. Loving Kindness(Metta): is a soft, gently affection and care for all others and YOURSELF. Compassion (Karuna): caring for everyone. Trying to understand where another person may be coming from. Vicarious Joy (Mudita): the ability to be happy when you see others happy. Their joy becomes your joy without jealousy. Equanimity (Upekkha): seeing everyone is equal. Their is no one who is more important then another. We are people among people. Helps client feel spiritually at home in their body. Balances the Pranic flow between the Spiritual countenance and physical body. Gives a feeling of oneness with Divine! Relaxes obsessive thinking/worry, relieves mental fatigue. Can assist client in the release of emotional blocks. Connects Mental, Emotional, Spiritual aspects of the psyche. Stimulates circulation and lymphatic flow (I can't think of any system of the body that Thai Massage does not benefit). Increases range of motion. Releases joint pain and soreness. It is one of the largest single living organism. 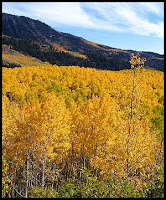 Nick named Pando it is made up of aspen trees that are connected by one massive underground root system located in South-Central Utah (ahh a local treasure). The Pando is a clonal colony of a single male Quaking Aspen estimated to be over 80,00 years old, spanning over 106 acres and weighing in at 12 million pounds! 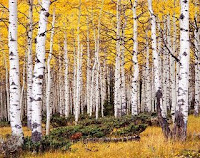 Within Pando there are around 47,000 tree stems that are continually dieing off as new ones are renewed, the average tree stem is 130 years. 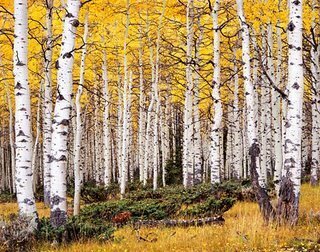 The Pando is the second largest organism the first being a mushroom "field" in Washington, this fungus covers 1,500-acres. This morning I talked about the Pando and we did hip openers and vrksasana, tree pose. We did a group tree pose where students lined up, interlaced hands and did a back bend variation of vrksasana. A variation that is much harder done alone and much easier and more enjoyable to access when working with others. We focused on first principle and it was so beautiful to watch the students brighten, lengthen and smile.